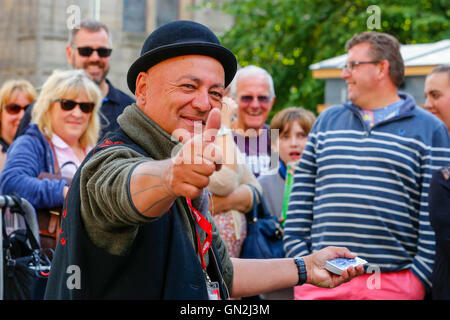 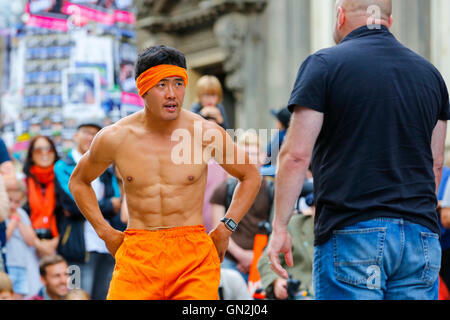 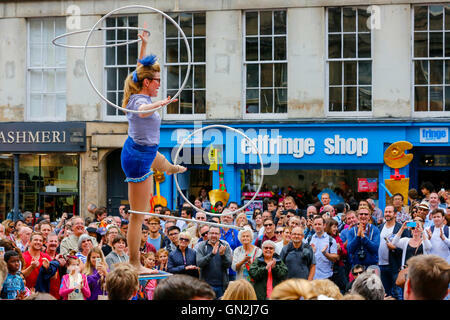 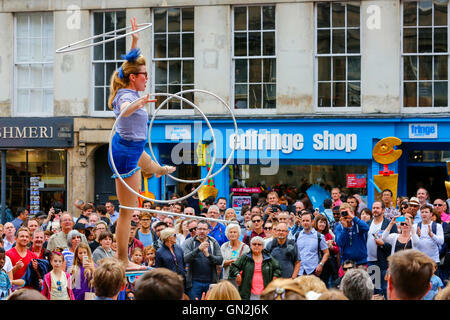 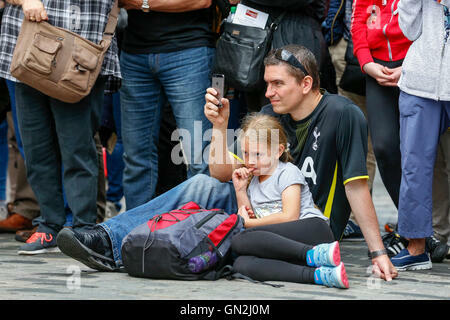 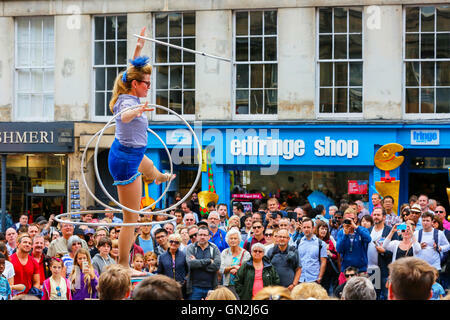 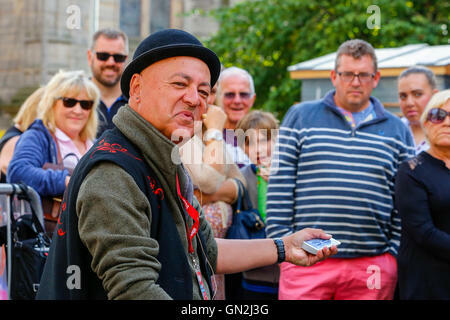 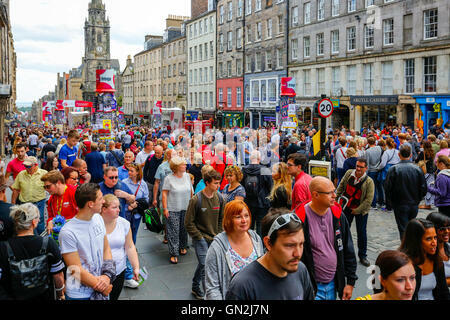 On the final weekend of the Edinburgh Fringe and Festival, the street performers entertain the visitors, tourists and locals with excerpts from their shows. 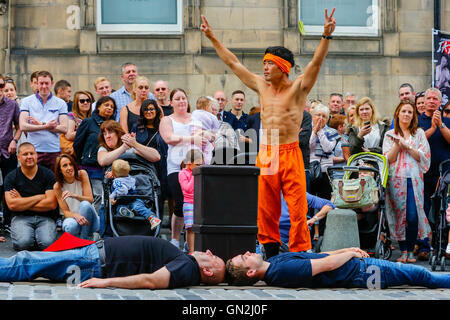 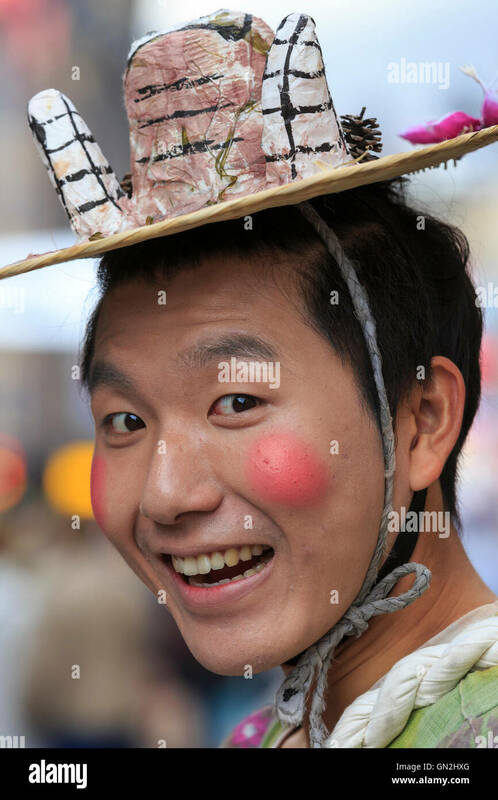 On the final weekend of the Edinburgh Fringe and Festival, the street performers entertain the visitors, tourists and locals with excerpts from their shows.Members of the Temper Theatre Production company from Cambridge perform in The Royal Mile. 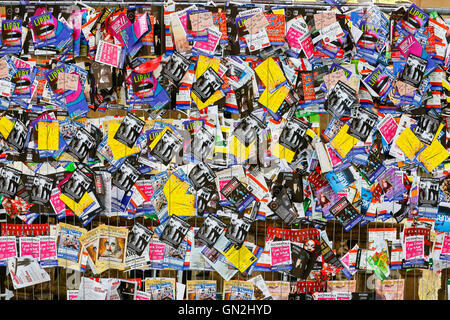 On the final weekend of the Edinburgh Fringe and Festival, the street performers entertain the visitors, tourists and locals with excerpts from their shows.Here is a wall where they all pin their Flyers and ads for their shows.